We love admiring the colorful glass globes, icicles, and figures that glitter on holiday trees or shimmer in ornament stands and windows. 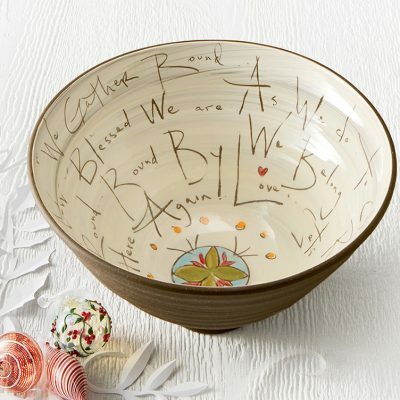 Once these intricate works of art have become part of your holiday decor, it can be hard to imagine them any other way. 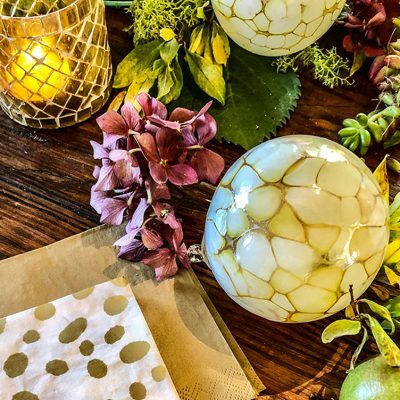 And yet, every glass ornament from Artful Home gets its start in an artist’s studio, transformed from raw, molten glass at the end of a blowpipe or inside a kiln into a treasure of color and light. Curious how glass ornaments are made? 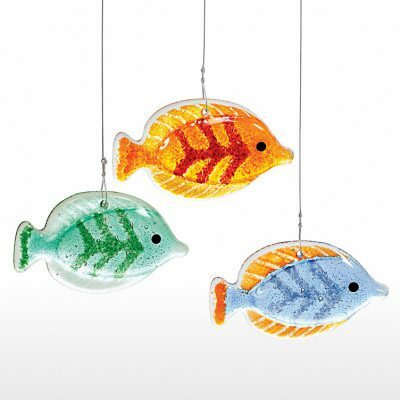 The artists we represent combine traditional techniques like glassblowing, lampworking, and fusing with their own creative methods to craft ornaments that are signature works of art. Here’s a glimpse behind the scenes to see how the magic happens. 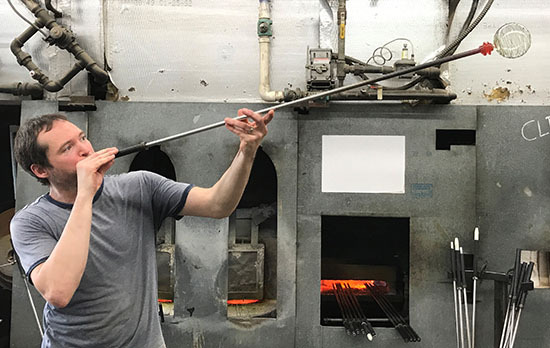 Perhaps the most well-known of glass techniques, glassblowing is an ancient art form that offers artists myriad ways to express their vision with color, texture, and detail. 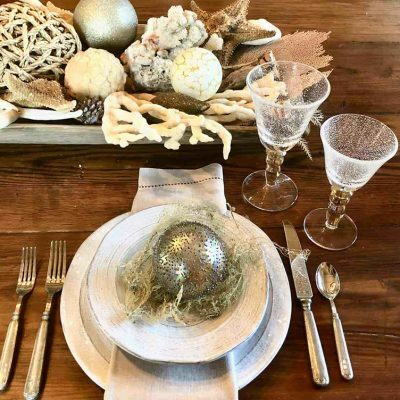 It is well-suited to creating the elegant globes, drops, and disks that add beauty to your holiday decor. Tom Stoenner incorporates frit—small bits of crushed glass—into his ornament “Jezebel” to create a variety of visual effects and textures. Also known as “flameworking” or “torchworking,” this art form involves melting and shaping colored glass rods directly in the flame of a torch. Lampworking techniques are wonderful for creating intricate, small-scale sculptures. Andre Nigoghossian puts the finishing touches on “A Chorus Line,” a stunning, graceful ornament that is remarkably detailed for its petite size. James and Andrea Stanford combine torchworking and glassblowing techniques to create imaginative glass art. Here, James uses a torch to blow a hollow glass tube into the shape of the hot air balloon for “When Pigs Fly.” The torchworked pig is then heated and attached. Fusing, or kiln-working, involves firing glass in a kiln to melt and shape it. Artists first create their pieces while the glass is cold, typically cutting, stacking, and layering different elements into the desired design. The piece is then heated in a kiln until the elements fuse together. The artist may fire a piece several times to create different effects. Here, Amy Simpson pieces together a number of her “Frosty Fellow” ornaments. Note the scarf—Simpson applies each and every stripe herself, first arranging glass threads into a pattern and fusing them together before accessorizing her snowmen. The intense heat of the kiln makes everything glow red hot. Here is a peek inside the kiln’s viewing hole to see “Frosty Fellow” fusing in action. Denise Childs considers glass to be a magical material full of wonder and delight. Here, she adheres translucent sheet music imagery to the backs of her fused “Songbird” ornaments. 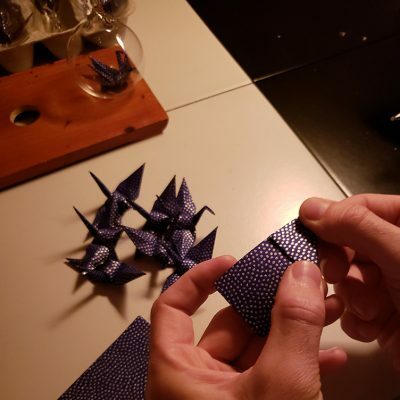 Now that you have some insight into the techniques artists use to create their extraordinary ornaments, you may be able to appreciate their unique beauty even more! Explore our full collection to discover all of these wondrous works of art.